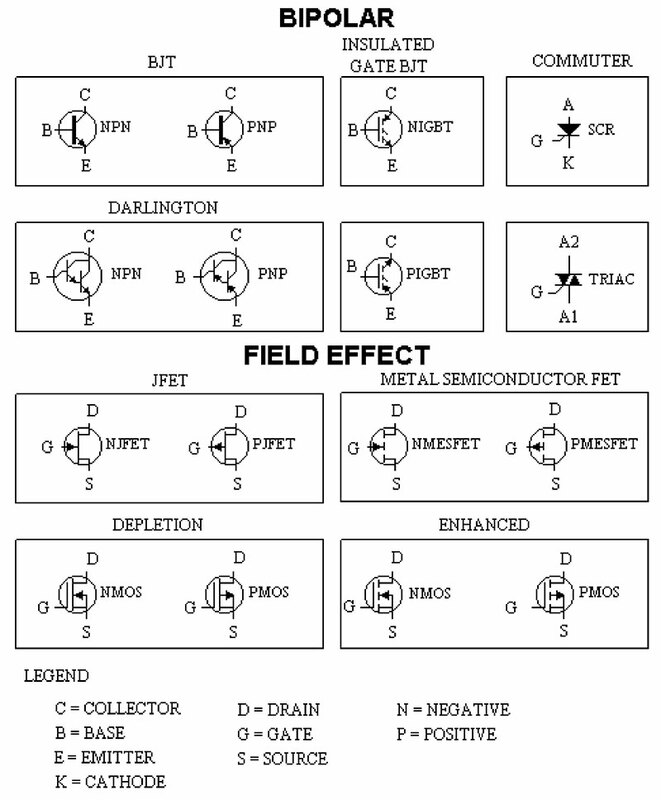 Could you provide a physical picture of the multi-leaded devices that are sometimes shown in schematic form only? Specifically MOSFETs, transistors, and any other specific devices. Me and my colleages see that the ICs are numbered, however, not all of us have resources for physical layouts that distinguish gates, drains, sources, etc. If it's transistor symbols you're looking for, here they are.